The mission of the Columbiana EMS is to provide the highest quality of service possible. This is achieved by the personal dedication, commitment, and achievement of our personnel. 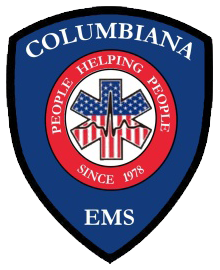 Columbiana EMS providers enter from a wide order of multi-disciplinary backgrounds, thus enabling us to provide an enhance degree of service. Daily, our services are provided by quality people who pride themselves in their performance and their emergency medical service.